Location: Hotton, in the province of Luxembourg, Belgium. Notes: Deulin Castle (French: Château de Deulin, also Château de Harlez) is a château in the village of Deulin, which forms part of the commune of Hotton, in the province of Luxembourg, Belgium. 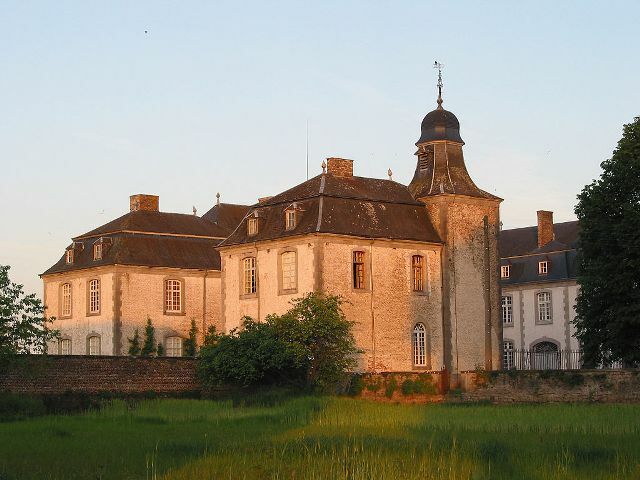 It was built from 1758 to 1770 by Guillaume-Joseph de Harlez, and his son Simon-Joseph, and their descandants, the de Harlez de Deulin family, still live there.